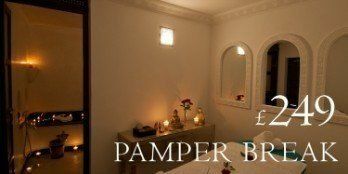 Marrakech has much to offer for everyone. 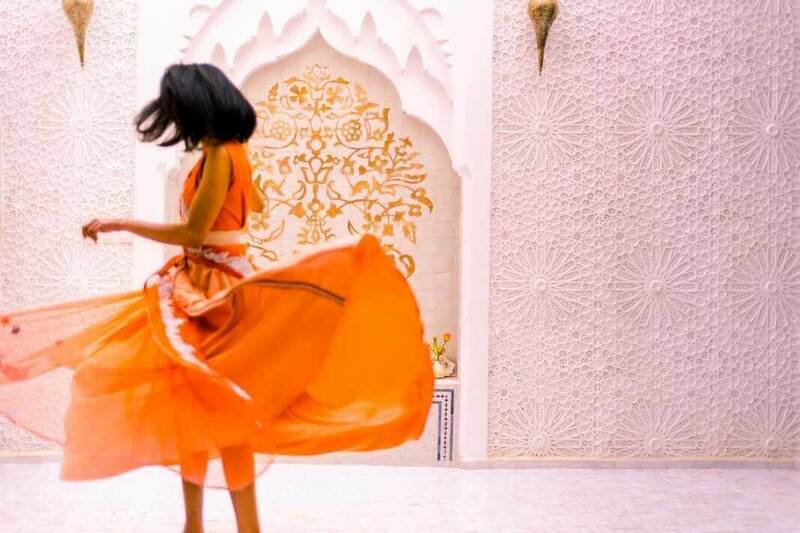 If you plan a relaxed break with your partner or a super-summer family holiday, rest assured that Marrakech will surprise you. 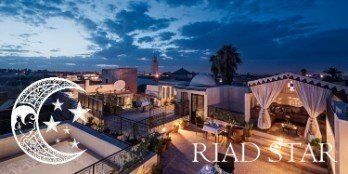 The best way to experience Marrakesh hospitality is by staying in a riad, fabulous boutique hotels spread across the Medina. Book airport transfers ahead. This will save you a lot of time at the airport. You can prepay the transfer or pay at the hotel, so you don’t even have to wait to exchange cash. It’s easy as long as you confirm in advance and send us your flight details. 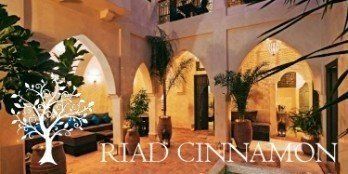 Order a meal in the riad for the first night (at least); For morning arrivals we can discuss this on the day. For afternoon and evening arrivals this would need to be pre-booked to allow the kitchen time to shop for fresh ingredients and prepare the meal. Our suggested menu is Moroccan salads followed by lamb tagine, then fresh fruit and pastries at a cost of £16 ( MAD200) per person. A classic seven vegetable couscous would be a vegetarian alternative to the lamb. We can cater for most dietary requirements including gluten free on request. Download the Marrakech riad travel guide plus app available for iOs and Android; “it is a life saver” as many of our guests comment. 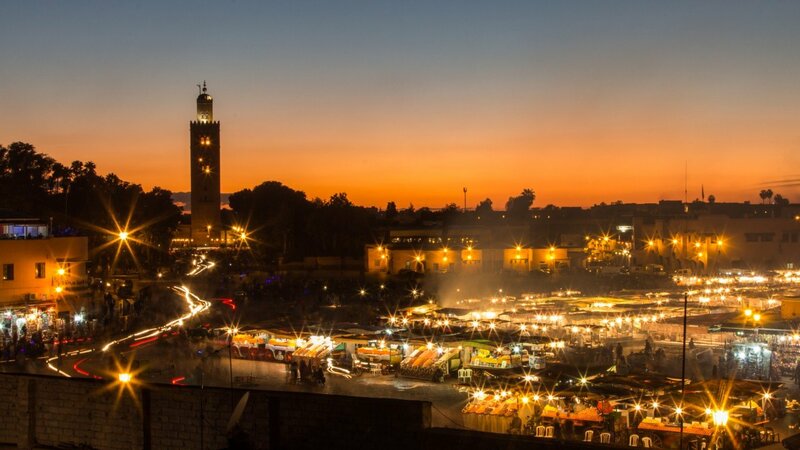 comprising a Map & Guide, the app works in Marrakech without expensive data roaming and offers discounts at selected restaurants and shops. 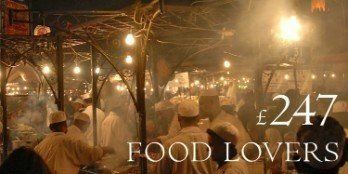 Visit the souks; Souks are the famous markets which are spread across the Medina. So prepare to wander long hour and be fascinated by colors, smells and tastes! One thing you will notice quite early is that the souks are divided into categories; there is a carpets souk, a slippers souk, metalwork souk, spice souk… and many more; Enjoy! Visit the Marrakech museum and the museum district, which is located in the heart of the medina, a short walk from our riads; The largest and most important museum in town is the Musee de Marrakech (Marrakech Museum) which houses a permanent collection of art as well as cultural artefacts including ancient carpets and Berber wedding jewelry. Adjacent is the Ben Yussef Maddrassa an extraordinary and atmospheric building which was an active Koranic School until relatively recently. In our view this is the most interesting of all the historic monuments in Marrakech. The oldest building in Marrakech, the Almoravid Kouba is open to the public and features some of the most remarkable architectural decoration in the whole of the Islamic world. Stop and admire at least one out of the nineteen medina gate ( bab). The medina of Marrakech is protected by medieval wall, and of course gates are required to allow people to go in and out. But these gates are not ordinary. they date back centuries and their distinctive architecture will impress you; Bab Agnaou is one of our favorites, built in the 12th century. Explore the wonderful gardens in Marrakech, especially the Majorelle gardens. Just a 20 minute walk or a 5 minute taxi ride from the Marrakesh Medina are the Majorelle Gardens (Le Jardin Majorelle). The gardens were created as a project by the French artist Jacques Majorelle between the 1920’s and 30’s and have grown to become one of Marrakech’s most popular tourist attractions. Visit the royal palaces: El badi and bahia. 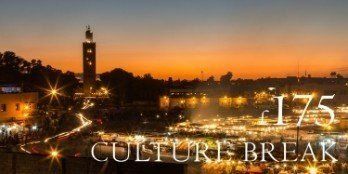 The Bahia Palace and the stunning sets of tranquil gardens enclosed behind its walls are within easy walking distance from Djemaa El Fnaa and have thus become a hugely popular destination for visitors of the red city. El badi is a beautiful palace situated in the south of Marrakech’s historic medina, originally built between 1553-1578 by the Sadiaan king Ahmad al-Mansur to host guests and to act as a residence for him and his family as Marrakech was at the time the capital of Morocco the palace was extensively used. And lastly, do not over plan your trip; just relax and enjoy your holiday!